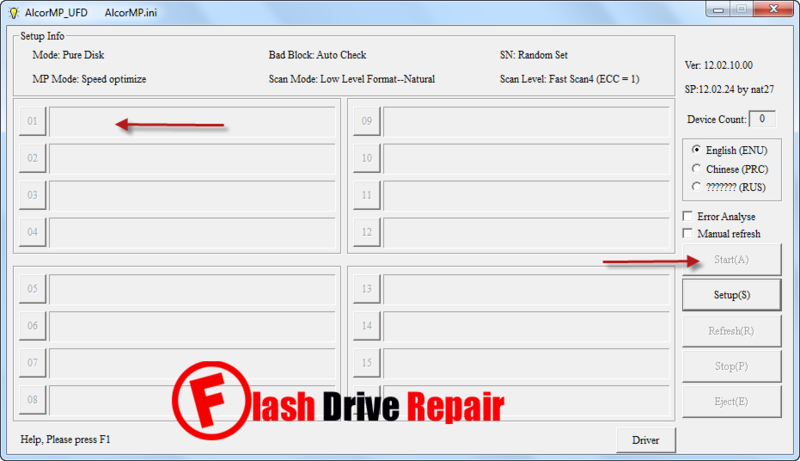 Learn how to recover corrupted Alcor flash drives.AlcorMP AU698x 120210 can repair Alcor AU69xx,Alcor FC8xxx and Alcor SCx08 chip controller .Download AlcorMP format tool and fix your flash disk . AlcorMP AU698x 120210 is designed to format and repair corrupted Alcor Chip controller that have format errors .AlcorMP AU698x 120210 recovery utility can repair the following chip vendors " Alcor AU69xx,Alcor FC8xxx and Alcor SCx08 chip controller .AlcorMP AU698x 120210 formatter software have two versions that support Low level format "FAT32" and MD version High level format "NTFS" . 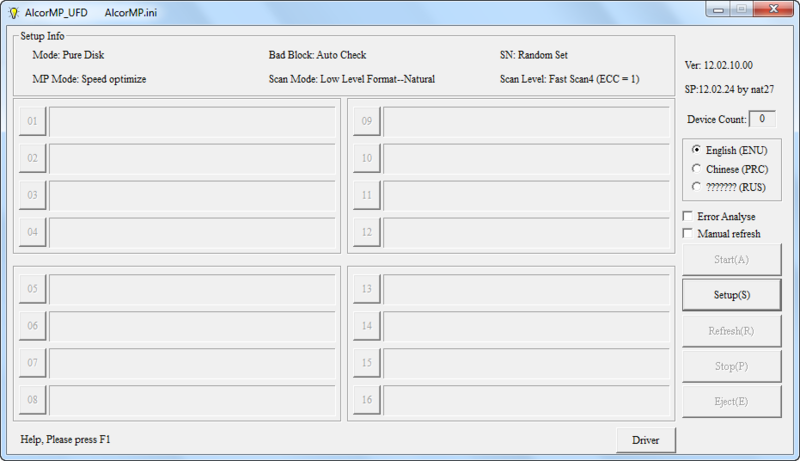 You must know your flash drive chip vendor first by using Chipgenius software or USBDeview V2.30 utility. How to repair AlcorMP AU698x flash drives ? Download AlcorMP_ AU698x_ 120210.rar from download links below . Open AlcorMP_AU698x_120210.exe , there is two folders with two versions of AlcorMP one support formatting with FAT32 and the other is MD support formatting with NTFS file system . Click Start to begin update alcor flash firmware .